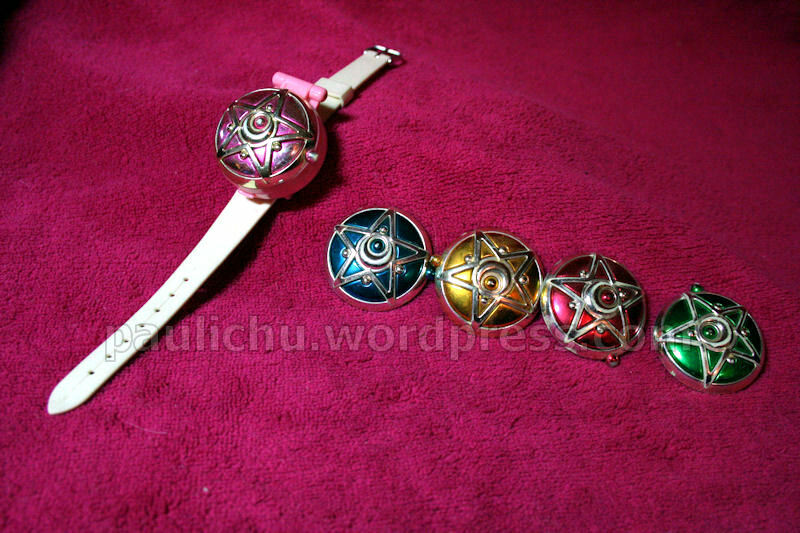 Communicator Watch – MoonFigures Collection, Art, and Reviews! Paid: Approx $25 when first released. 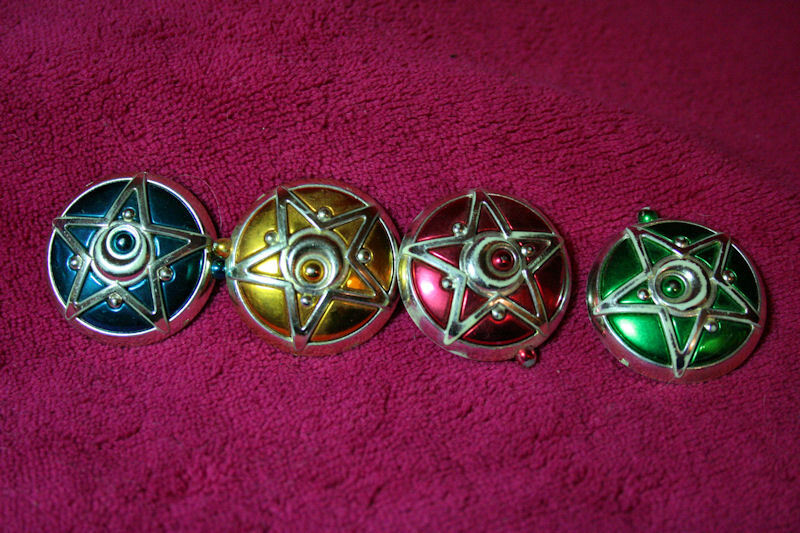 This is probably one of my favorite items in my collection, and it’s the one I’ve had the longest. 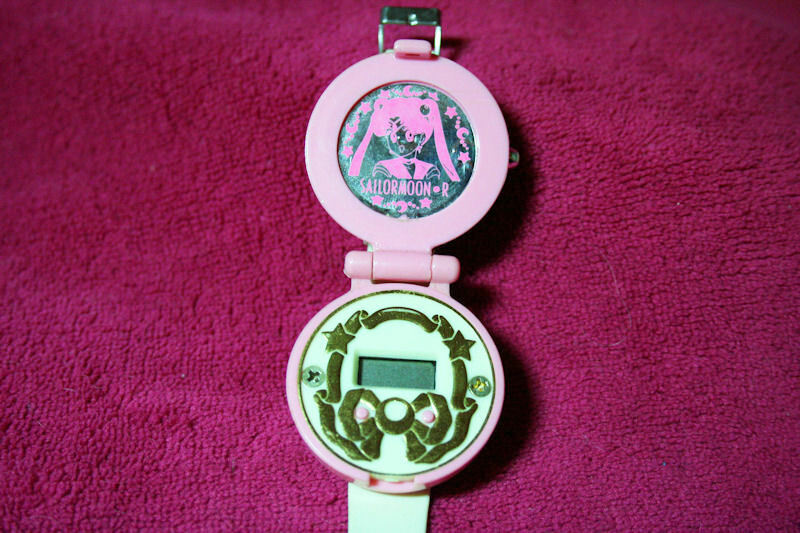 When you lift the cover it reveals an actual digital watch, and a metallic Sailor Moon sticker in place of the screen. 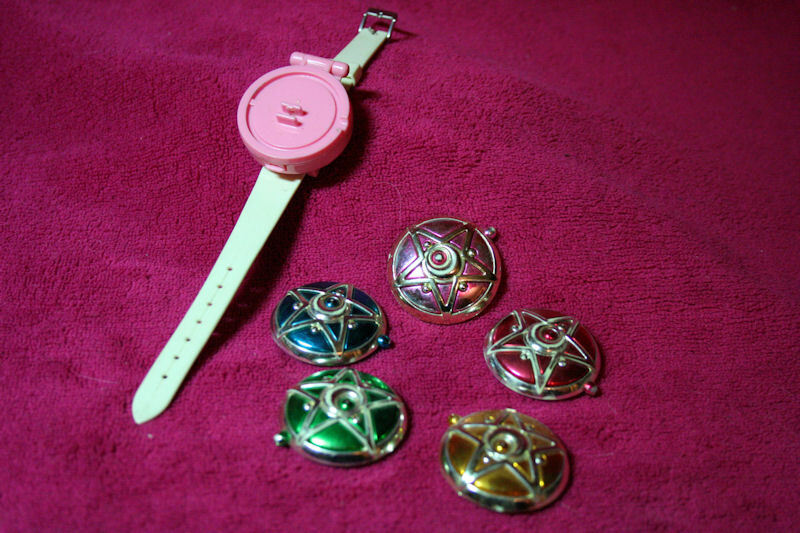 The cover of the watch is interchangeable between 5 different tops: Pink for Sailor Moon, blue for Mercury, red for Mars, orange for Venus, and green for Jupiter.